The origin of money begins with the same event that initiated almost everything else in modern society: the onset of agriculture. At the end of the last Ice Age, climatic shift made certain areas of the world very fertile for plant growth, something that the majority of humankind had never experienced before. In the centuries that followed, this led to large-scale domestication of plants and animals in different regions of the planet. 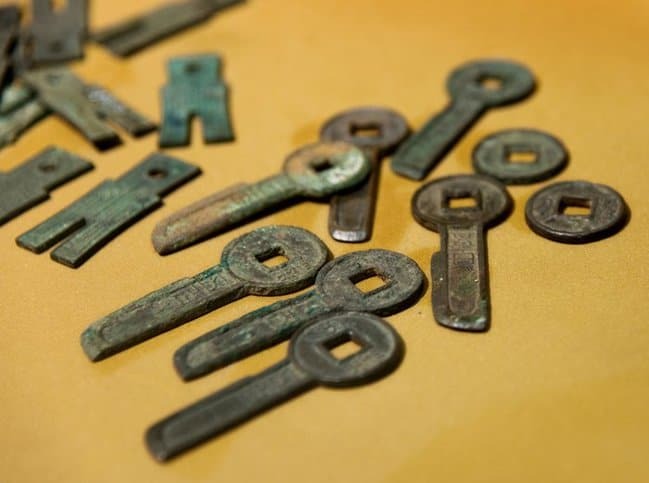 Around this time, approximately 10,000-8,000 BCE, people began trading goods in exchange for things that they did not already possess, creating one of the earliest economic systems. This began with cattle, but led into other livestock, such as sheep and camels, and, as agricultural processes advanced, started to include things like grain. This was very practical for the time, since one’s means could often not make for all of the requirements to sustain a life. For example, if a man owned many cows, he would be able to trade one that he did not need to someone else in return for grain. Such a thing was truly only possible because of the very limited amount of individuals that would have been involved with this trade. At the time, it is estimated that there could have been as little as 1 million human beings occupying the entire planet. A single person could only trade with a limited amount of people. With a larger population, this kind of barter system would not be possible, and the economies of more-populous areas would need to adapt. This is what happened when humankind entered civilization. Civilization is a direct result of agriculture. Several millennia of a sedentary lifestyle were starkly different from the tens of thousands of years that preceded domestication, back when nomadic hunter-gatherers scoured the glacier-covered world. The rising population, and the complexities in managing it, led to complex society in the agricultural areas, which became the “cradles of civilization”. Interestingly, each of these regions developed society independently in a similar manner. The best-known cradle of civilization is the ancient region surrounding the Levant, Mesopotamia, and northern Egypt, called the Fertile Crescent due its relationship with early agriculture. 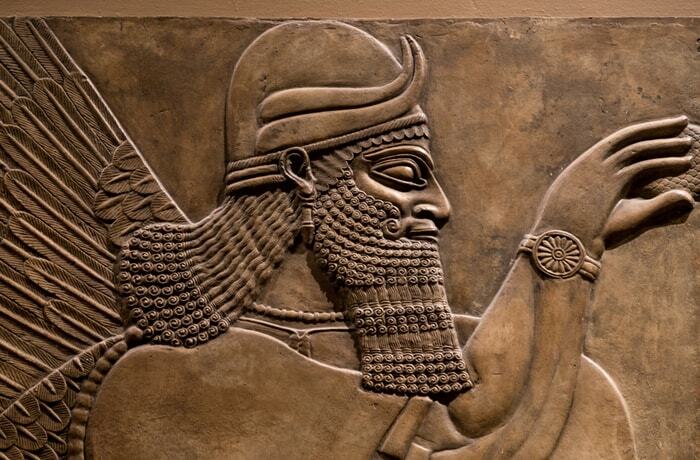 Mesopotamia sprang up around 4500 BCE and became the site of the world’s first cities, such as Jericho, Ur, and Uruk. Other cradles of civilization include the Indus Valley, the Yellow River Valley in China, and Mesoamerica. By living in cities, people were no longer exposed to dangerous elements, and they did not have to take every action necessary for their survival. A city could provide a denizen with water, shelter, and food, which they could receive in exchange for some kind of service. This made it less important for objects of trade to be the actual thing that the receiver needed. Once currency came around, an individual did not have to trade a cow for grain, as the city already had more than enough access to cow and grain. This was a necessity as more services became available. The earliest forms of money existed in Egypt and Mesopotamia by the Third Millennium BCE, and often consisted of gold bars and even gold rings to supplement smaller sums. By 1800 BCE, the establishment of a currency-based economy had long stratified society. However, one would find difficulty in possessing a great deal of money at this time, since the large sums of gold needed to be hidden or protected. The easiest way to do this was with a well-fortified temple, and the gold stored in such a place would be available for others to borrow. Through loans, this arguably created the concept of banking. The earliest known coins in the Western world were used in the city of Ephesus in Ionia (in modern-day western Turkey) in about 650 BCE. The coins, which were bean-shaped and struck on one side with a distinguishing mark, such as a lion, were composed of electrum, a natural alloy of gold and silver found locally. During the same period, in a completely different part of the world, bronze coinage was common. 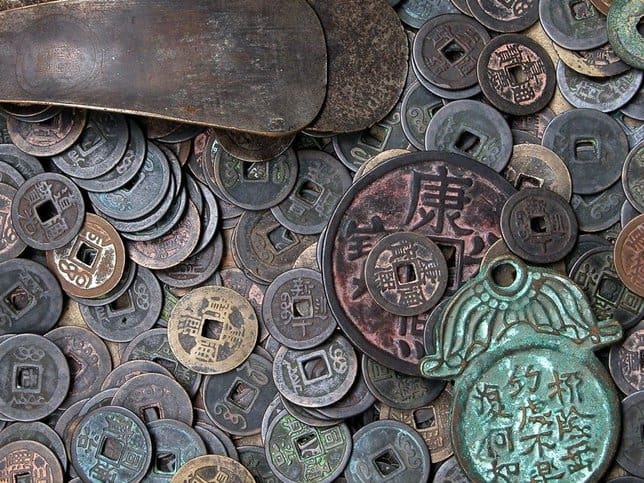 In China, bronze casters poured molten bronze into molds to create money that was significantly different from coins today. There were two main forms of this currency: the first was shaped like the metal part of a spade, the other resembled a knife with a handle. Both of these were decorated with Chinese characters. Far later, in Third Century BCE, China adopted round coins with square holes in the center. From these two examples, it can be seen that currency, like civilization itself, developed similarly, yet independently, in different, completely unrelated parts of the world. Complex society clearly required the local standardization of currency to meet economic needs. By 1100 BCE, the Chinese introduced leather money, which was significantly larger than paper money today and was crafted from the hides of white deer. About 1000 years later, around 910 CE, the world’s first paper money was experimented with in China. Since Chinese emperors for the next several centuries would overprint notes annually, as Marco Polo noted in his journeys, inflation in the Fifteenth Century led to the abolition of paper money in the Ming Empire. Bank notes made their first appearance in Europe in the late Seventeenth Century. 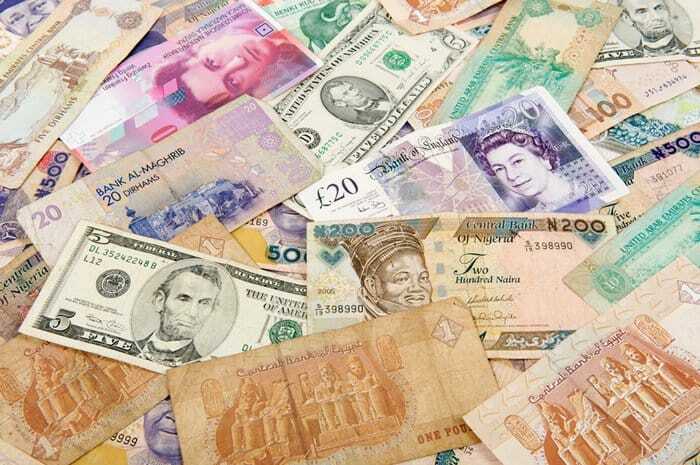 Paper currency didn’t exist on its own in any part of the world at this time, either being used in conjunction with coins or being backed by silver or gold. However, during certain times, banks placed restrictions on the exchange of paper money for their backed metal, such as in England during the Napoleonic Wars. Over time, trust in bank notes increased, which simplified the shift towards their use. After the Great Depression, the idea of a monetary system backed by gold was highly undesirable, since the bank failures of the time inspired people to hoard gold, making the system impossible to manage. This led to the abolition of the gold standard in many countries. However, the exchange of precious metals still presided for some time after this event, since the silver standard was technically still in effect in the United States until 1971. Today, we have fiat currency – legal tender whose value is backed by the government that issued it. The establishment of a standard currency can be a combination of both nationalism and economics – the common unit of exchange can unite people and be a practical means by which their local economy can sustain. A good example of currency that was intended to achieve both of these ends is the euro, which, according to its initial proposition in the Treaty of Rome in 1957, was meant to create a “common market” to increase economic prosperity and contribute towards “an ever closer union among the peoples of Europe”. Modern currencies are represented in ISO 4217:2015 – Codes for the representation of currencies. This document specifies the structure of currency codes, which consist of three letters; the first two represent the country, the last is an indicator of the currency itself. In addition, each has a three digit numeric code. 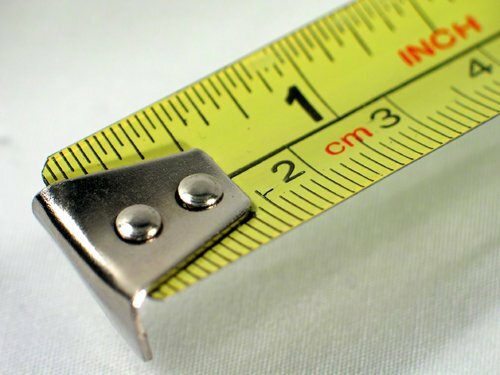 To accommodate any changes to national or regional currencies, the Maintenance Agency (ISO 4217/MA) established by the ISO council exists to keep these codes aligned with current monetary standards. Following the trends throughout history, the standard forms of currency will always be adapted into the most convenient alternative. Because of this, it is very possible that currency could become completely digitized, just as goods became gold, gold became coins, and coins became paper. This is partially true today, since people can make purchases in many places and venues without using cash, but it is not as extreme as some futurists hope for it to be. If they are to be believed, someday paper money might cease to exist as all of our devices become vehicles for commerce.